A broad energy bill passed this week by the U.S. Senate would boost hybrid microgrids and attempt to remove barriers to grid-connected microgrids within regional transmission organizations (RTOs). The Energy Policy Modernization Act of 2016 (S. 2012) is the first major energy bill passed by the Senate in almost a decade. It now goes on to conference committee following an 85-12 approval by the Senate. The House also has passed an energy bill. The Senate bill focuses on electric grid reliability, cybersecurity and modernization, as well as other energy related issues surrounding public lands and water, hydropower, geothermal, methane hydrates, the Alaska gas line project, mineral security, and LNG exports. On microgrids, the legislation calls for RTOs to collect data on several characteristics of microgrids and distributed energy within their territory. 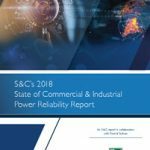 Among other things they would identify microgrids that are subject to dispatch and describe their fuel sources, operational characteristics and costs and benefits. The RTOs also would identify barriers to microgrids and ways to avert them. In a separate section, the legislation calls for setting up a federal-led initiative to bolster hybrid microgrids for remote communities and critical facilities. The bill’s co-sponsor, Sen. Lisa Murkowski, serves Alaska, the home to many remote microgrids. The bill describes hybrid microgrids as those with conventional generation and at least one form of alternative generation, along with possible battery storage. The program would focus on bolstering microgrid development in remote communities that experience severe weather and high energy prices. It would also look at how hybrid microgrids can enhance cybersecurity, defense and economic development. Washington insiders following the Senate bill say chances are slim that it will make it through the conference committee because of differences with an energy bill passed by the House. The Alliance to Save Energy described “an enormous gulf” between the energy efficiency provisions in the House of Representatives and Senate versions of the bill. The Senate bill is available here. An interesting article to follow up yours with.